Spotted by the Americans in 1801, it was the British who first named the island in 1804 when the Captain of HMS Ocean named it after his ship. However despite occasional visits by whalers, it was not until 1900 that the local chiefs signed a deal with British Phosphate Commission who were interested in exploiting the substantional Guano deposits there. There is evidence that the chiefs were not fully aware of just how much commercial freedom they were signing over to Albert Ellis and his company. In fact phosphate would be mined their for the next eight decades. The following year the British officially claimed it and added it to the Gilbert jurisdiction. The islands were occupied by the Japanese during the Second World War. They forcibly relocated much of the male islander population for slave working purposes. 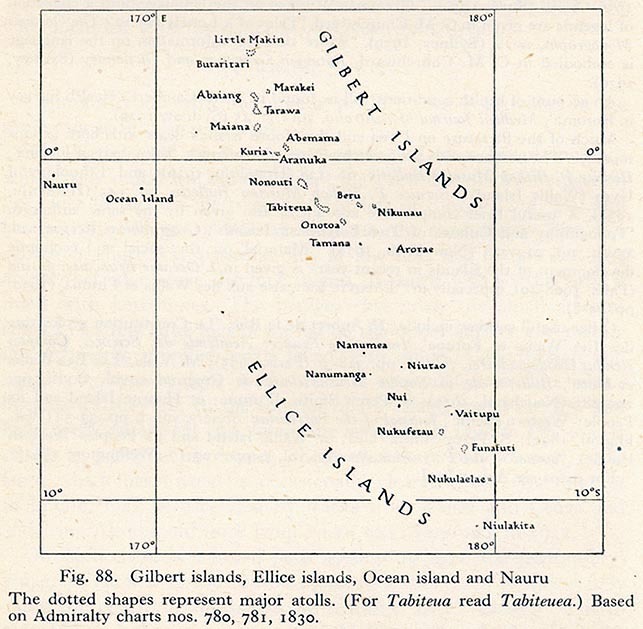 After the war, more of the locals relocated to the island of Rabi in the Fiji chain. This was due to the overexploitation of the Phosphate deposits making it more and more difficult for any of the locals to make a living on the island. Subsequently some have returned to the islands which are now part of the Kiribati chain. an interesting account of the duplicit negotiations for control of the island.